http://www.JewishWorldReview.com | Hillary Clinton stepped down after four years as secretary of state amid swathes of flattery excessive even by Washington's sycophantic standards. "I think that when we look at the outstanding secretaries of state in our history of our country you will be right up there at the very, very top," Representative Eliot Engel, a New York Democrat, fawned during a congressional hearing last month. "You have just been indispensible." Clinton had been summoned to answer questions about the Benghazi consulate debacle, an egregious security breakdown on her watch that had resulted in the murder of four US diplomatic personnel. But to hear the chorus singing her praises - extolling her "remarkable leadership," hailing her "strength and poise," saluting her as "a hero" - you might have thought she was receiving a Nobel Prize for statecraft. "She showed acuity, eloquence, humanity and charm," Chris Matthews gushed on MSNBC. The odes to Clinton's greatness as secretary of state began long before she announced her departure. More than a year ago, Google's chairman Eric Schmidt pronounced her "the most significant secretary of state since Dean Acheson," thereby elevating her above John Foster Dulles, Henry Kissinger, and George Shultz. A New York Times Magazine story last summer famously tagged Clinton the "rock-star diplomat," and Bloomberg's Margaret Carlson rated her "a stellar secretary of state." All of which may be convincing to diehard Hillary fans, especially those eager to see the former presidential candidate run again in 2016. The infatuation of supporters is an invaluable political asset, and Clinton's approval ratings have never been so high. Star power and goodwill she has aplenty. But that hardly adds up to a record of greatness at the State Department. Whatever else historians may say about Clinton's achievements over the past four years, they aren't likely to equate them with those of John Quincy Adams, who formulated the Monroe Doctrine; or Acheson, who designed the NATO alliance; or Kissinger, who engineered the opening to China. Even as a symbol of workplace diversity, Clinton ranks behind her immediate predecessors -- Madeleine Albright, Colin Powell, and Condoleezza Rice. To be fair, the 67th secretary of state is widely recognized for her work ethic, her political skills, and her avoidance of gaffes. "For style and for collegiality, Clinton gets high marks," writes Michael O'Hanlon of the Brookings Institution in Foreign Affairs. Even sharp opponents of the Obama administration admire the dignified image she conveys. "She is extremely well respected throughout the world [and] handles herself in a very classy way," Republican Senator Lindsey Graham of South Carolina has said. What no one can say, however, is that as secretary of state Clinton significantly transformed the world she lived in. She was not the decisive architect of President Obama's foreign policy. She achieved no historic breakthrough. She resolved none of the thorniest international issues bedeviling America and its allies. 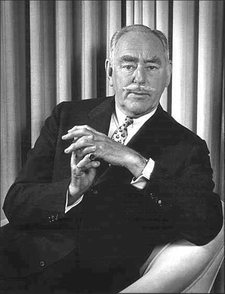 Dean Acheson, secretary of state from 1949 to 1953, designed the NATO alliance and brought West Germany into the European defense system. "When it comes to issues of war and peace, or matters of high strategy," concludes Aaron David Miller, a former adviser to six secretaries of state who is now a vice president at the Woodrow Wilson International Center for Scholars, "she hasn't really left a mark." That's partly due to the fact that Obama was never willing to delegate real power to his secretary of state - Miller calls him "the most withholding foreign-policy president since Richard Nixon" - and partly to Clinton's own decision to play it safe. But you don't end up in the pantheon of foreign-policy greats by playing it safe. Early in her tenure, Clinton presented Russia's foreign minister with a gift meant to symbolize the Obama administration's desire for a fresh start in relations between Washington and Moscow: a red pushbutton emblazoned with what was supposed to be the Russian word for "reset." Unfortunately, the State Department got the word wrong. The button was labeled not "reset," but "overcharge." Four years later, US policy toward Russia looks like anything but a success. Ditto US policy toward Iran, which continues its pursuit of the bomb. And US policy toward Syria, where Bashar Assad remains murderously entrenched. And toward Egypt, now in the grip of a Muslim Brotherhood dictatorship. Clinton's term as secretary of state, one might say, coincided with a lot more "overcharge" than "reset." No one questions her diligence and loyalty, but a giant of American statesmanship? Let's not get carried away.